Talipot, Talipotpalme, Grote waaier palm, San xing xing li ye ye zi, Palmier talipot, Talipote. 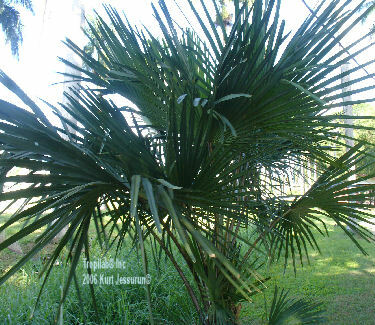 The Talipot palm is originally from India; brought to Surinam by the East-Indian immigrants. 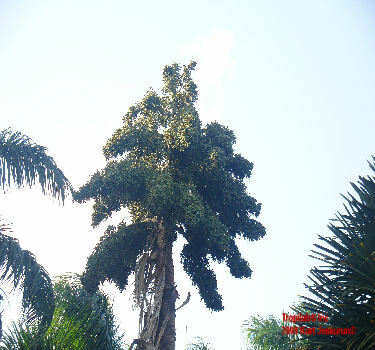 One of the tallest and most impressive palms with its huge trunk, up to 3 feet in diameter; it grows to a height of 100 feet (34 m) and has very large fan leaves; up to 21 feet (7 m) across. 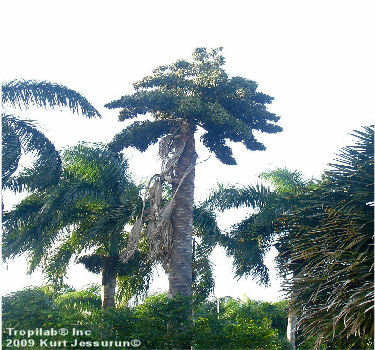 This palm has an enormous inflorescence high above the crown, shaped like an umbrella. 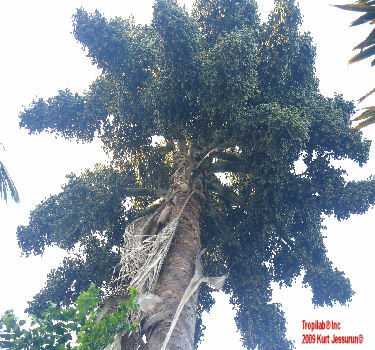 The tree produces millions of flowers during it one and only flowering season. 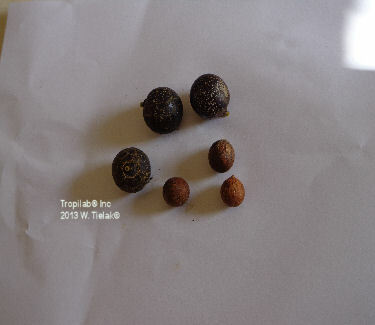 The Talipot has round dark-green fruits falling by the thousands when ripe. It grows slowly and lives between 40 - 80 years. The Talipot is monocarpic, fruits only once during its lifetime; after fruiting it dies. It takes about a year for the fruit (1 -1¾ inch) to ripen; the seeds are large and germinate easy. 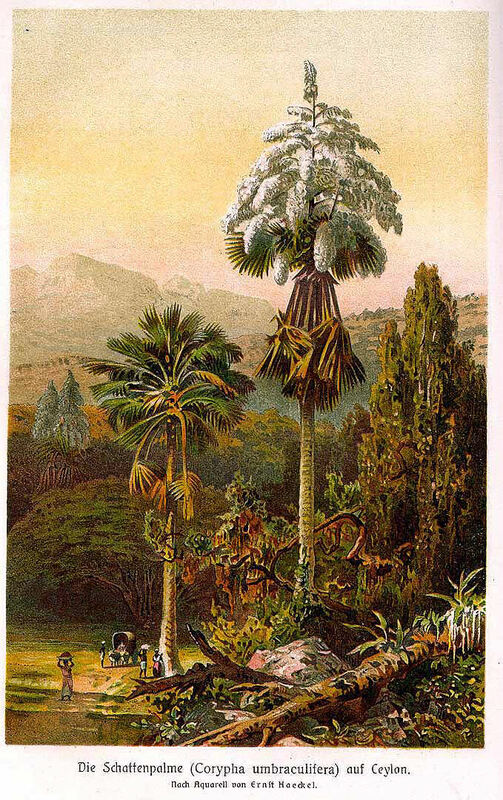 Due to its size the tree is only suitable for large tropical parks. Indoors they can be grown in containers for some time but eventually must be moved outdoors. Full to moderate sunlight, neutral pH of the soil; drought tolerant. Do not give too much water.